The deal, which is expected to be completed in the second quarter of 2019, will boost Americold’s market share in the United States with the addition of 132 million cubic feet of storage space in 22 facilities in the Southeast and central regions of the country. Atlanta-based Americold ranks No. 2 on the Transport Topics list of Top Refrigerated Warehousing Firms with 918.7 million cubic feet of space in 155 facilities in the United States, Australia, New Zealand, Canada and Argentina. Cloverleaf’s purchase of Zero Mountain was the first deal made by the Sioux City, Iowa-based company since it was itself acquired by Blackstone Group in November 2017. Lineage Logistics, another private equity-backed cold storage warehousing firm based in Novi, Mich., announced in February that it would acquire Preferred Freezer Services of Chatham, N.J., a deal that would create a company with more than 1.3 billion cubic feet of temperature-controlled warehousing space in more than 200 facilities worldwide. Lineage Logistics ranks No. 9 on the Transport Topics Top 50 list of largest logistics companies in North America with combined net revenue of $1.84 billion in 2018. Americold ranks No. 17 on the TT list with net revenue of $1.16 billion. Lineage also ranks No. 1 on TT’s top refrigerated warehouse firms list. Boehler said the acquisition of Cloverleaf will provide Americold with greater density and diversification in its business and expands the company’s focus on growing its protein segment. 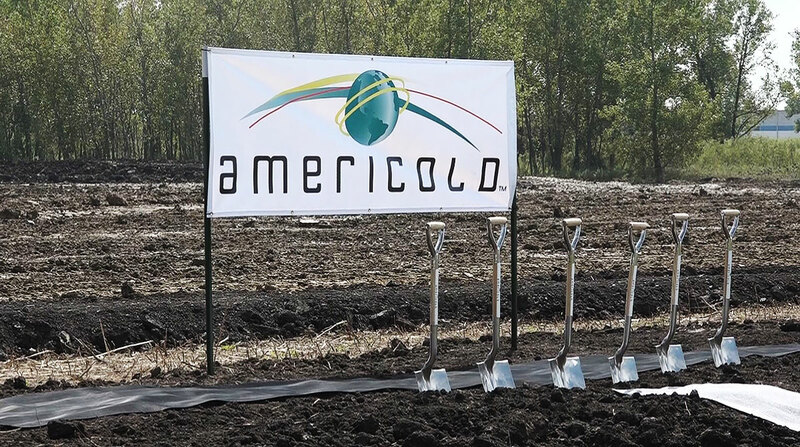 “We will accelerate and enhance Cloverleaf’s recently implemented initiatives by leveraging Americold’s commercial platform,” Boehler said.